Want to know more about the best cakes on earth? 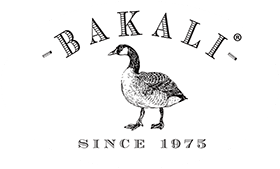 Bakali offers a natural alternative to your traditional snacks. So are you hungry, do want a treat or just a nice little something to lighten your day? Our rice cake and corn cake snacks are the best option for you. Our big rice and corn cakes will be your ideal partner to help you on a diet. If you are sick of bread and gluten, our light alternatives offer the same nutritional value. Feel fitter, stronger and smarter within days by following our diet! Check our product range and find your perfect healthier snack. Sesame chips & mini snack cakes make a great lunchbox accessory. Large cakes can be made with several delicious toppings. Low in fat, sodium, cholesterol & sugar. Source of dietary fiber & gluten free. Not fried, air popped with low fat content.